I have ten years experience working in neurological rehabilitation services. When an individual suffers from a neurological condition such as stroke, MS or brain injury, the experience is not only physical but emotional. This has an impact on how that individual can function. Like fatigue, the emotional impact is invisible, and can be hard to detect. In looking at the emotional side of rehab the individual needs help coming to terms with severe trauma and its lasting effects, with the experience being even harder to express if verbal communication skills have been affected. Whether dealing with stroke rehab, brain injury rehab or management of a neurological illness, art therapy can bring huge benefits for patients. Art therapy can help adults with physical illness or disability to open up through use of art materials as a means of expression, to repair or enhance many areas of normal functioning and to reconstruct and restore the self. Art can be used as a type of symbolic speech, expressing feelings and experiences through the images created by patients. This enables an additional mode of communication for the patient. The therapist and client are in partnership, working together to understand the meaning of the image. 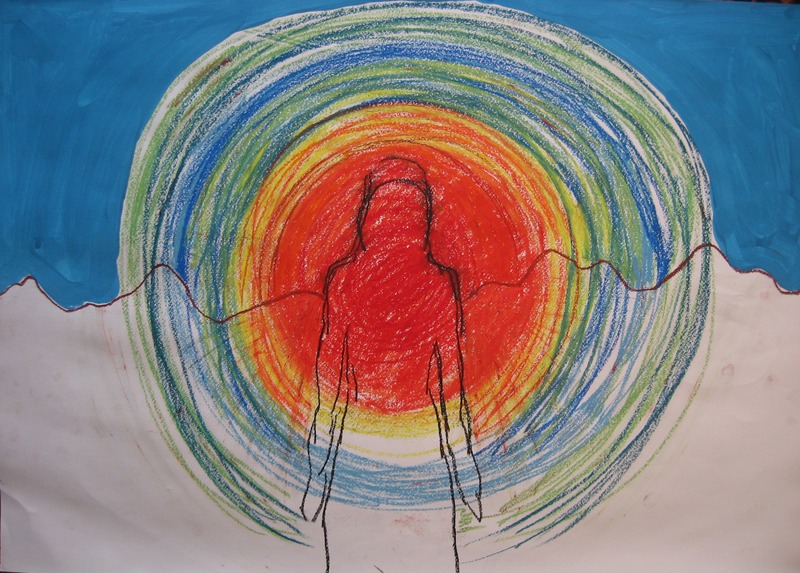 The artwork provides a focus for discussion, analysis and self-evaluation and acts as a record of the therapy process, assisting with ongoing assessment of psychological wellbeing. Art therapy can improve physical abilities through the handling of art materials and provide opportunities to re-learn skills that may have been lost due to their neurological conditions. Art therapy can address the functional skills of individual patients and encourage improved social skills, while providing the emotional outlet that is necessary for patients and families involved in a rigorous physical rehabilitation programme, and begin to explore new approaches to life. Art therapy brings another dimension of the person to the MDT discussion such as goal planning that may allow further insight enriching the MDT treatment. Art therapy can support the emotional aspect of the client to help the individual engage more with the physical rehabilitation side of rehabilitation. Art therapy can be used in joint sessions with other therapeutic team in a centre, supporting all aspects of rehab. The art work will be used as a voice for the client to share with his/her therapy team, and can be presented (with the permission of the patient) in areas such as goal planning and team meetings.